Chips & Salsa served upon request. Add Homemade Guacamole $3. 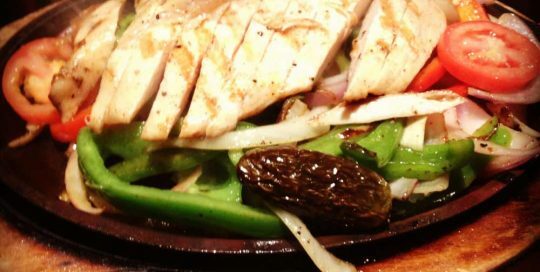 Join us on Thursdays from 5-close for TEX-MEX NIGHT! 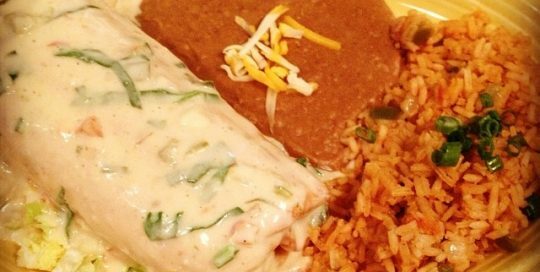 $2 off Mexican Entrees $6.99 Enchiladas& $3 House Rocks Margaritas! 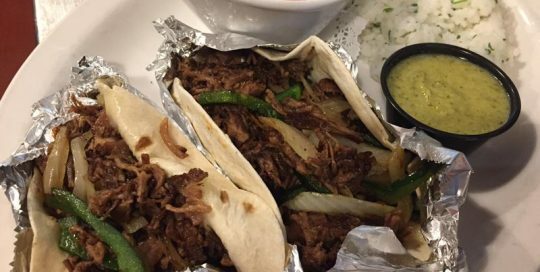 Flour tortillas, melted Monterey jack cheese, chopped brisket, grilled poblano peppers, and white onions. Served with tomatillo salsa, borracho beans and cilantro lime rice. One large flour tortilla filled with shredded chicken, Monterrey jack and cheddar cheeses, then deep fried to a golden brown and topped with TwoRows housemade espinaca queso and pico de gallo. Served with Mexican rice and refried beans. 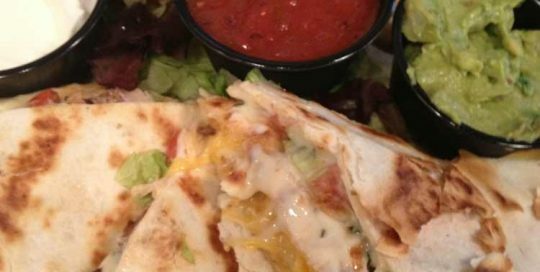 Large flour tortillas filled with fajita chicken and steak, pepper jack cheese, cheddar and Monterrey jack cheeses, and Pico de gallo. Served with guacamole, sour cream, and wild red salsa. 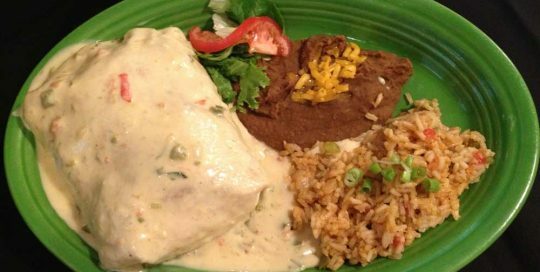 A giant flour tortilla filled with your choice of seasoned ground beef or shredded chicken smothered with enchilada sauce and melted cheese. Served with Mexican rice and refried beans. 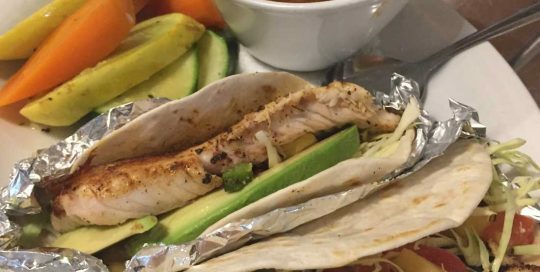 Sliced blackened tilapia, melted jack cheese, citrus salsa, shredded white cabbage, bistro sauce, and avocado slices wrapped in two flour tortillas. Served with borracho beans and veggie of the day. Best-Mex	Overall rating:	4.7	out of 5 based on 338	reviews.